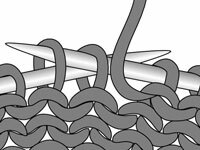 When you look at a p2tog decrease from the knit side, the stitches slant to the right, just like they do with a k2tog decrease. 1Insert the RH needle purlwise into the next 2 stitches on the LH needle. 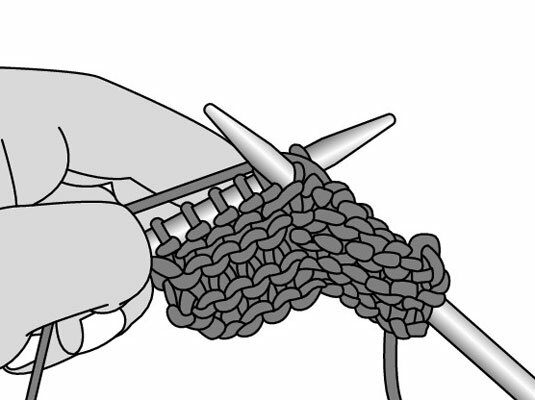 Position the needle like you were purling a single stitch, except insert the needle through two loops. 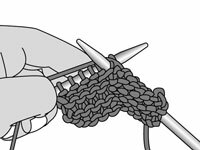 You’re on your way to working a single p2tog decrease on the wrong (purl) side of your knitting. 2Wrap the yarn around the RH needle. 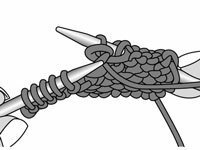 Perform the action just like you were working a single purl stitch. 3Pull the RH needle through the loop. 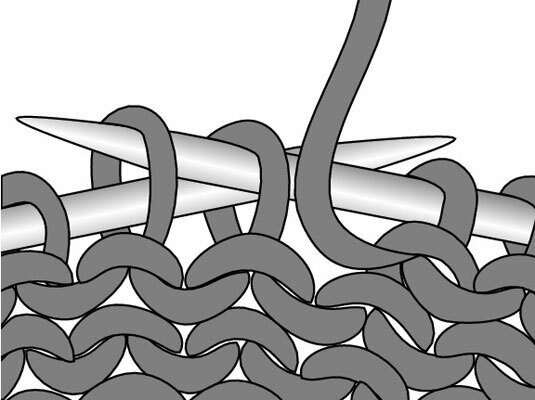 Again, purl the 2 stitches together as if they were 1 stitch.